I’ve been reading about brain function for 30 years and the past ten have been the most exciting, in terms of new discoveries. Read about this fascinating new study here from the good folks at LiveScience.com. 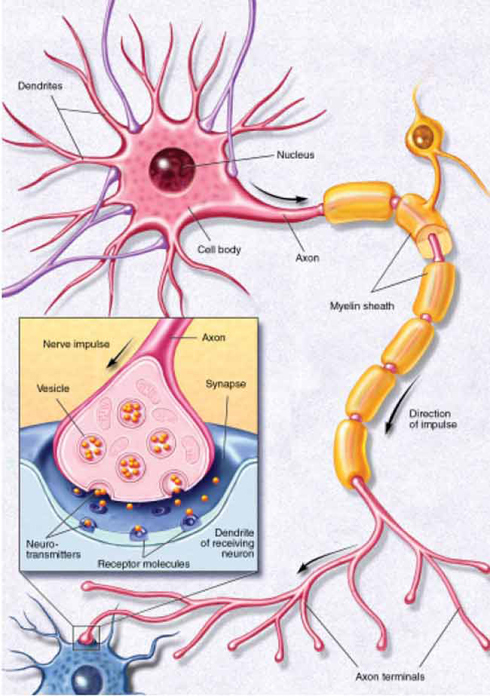 A neuron receives and processes information through a network of branches called dendrites. Once it processes the signal, the brain cell relays it along an axon to a terminal linking to another cell’s dendrites. When millions of brain cells communicate with each other at once, cognition occurs. Credit: L. Kibiuk for Society for Neuroscience.